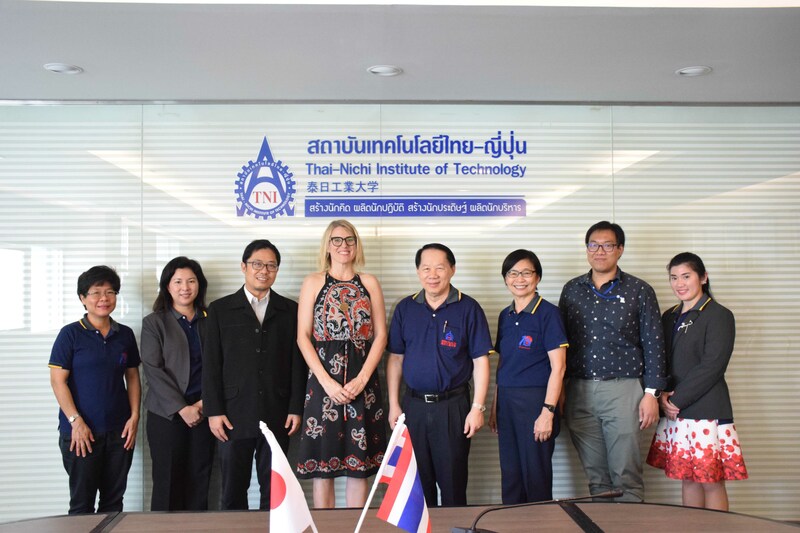 President Associate Professor Dr. Bandhit Rojarayanont and TNI executives welcomed MacKenzie Hizon, the Director of International Recruitment International Programs, from Southern New Hampshire University (SNHU). Having signed an MOU, the two parties discussed the 3+1 Program, a duo degree program, between SNHU and TNI as well as SNHU summer ESL program. Ms. Hizon also presented these two topics to IB and IBM students.